Can be directly soldered onto the PCB without any additional assembly. KÜBLER, represented in Australia by Balluff-Leuze , has released cyclometer displays with stepper motor drives for electronic kWh meters. The cyclometer drum-type counter mechanisms of the KWH series ensure precise measurement results in harsh industrial environments. They have a compact, space-saving design. In double-tariff meters two counting mechanisms can be placed tight up against each other. This is made possible by the motor position. The KWH 17 series modules can be directly soldered onto the PCB without any additional assembly. No screws, plug connectors or cables are needed, users simply solder them in. Connection is made via solder pins. The devices can be affixed by means of snap-on or screw mechanisms. The shielding material and the shape of the device make it insensitive to external interference factors. The stepper-motor-driven counting mechanisms of the KWH 17 series are primarily for use in one and three-phase electricity meters. The seven-digit drum-type counter mechanism with pulse triggering displays the values in 5mm x 3mm figures. This is the same size as in a traditional Ferraris meter. Triggering can be initiated by square-wave or needle pulses. Each incoming pulse advances the decimal position of the counting mechanism by 1/100 of a revolution. In this way the counting mechanisms can be directly controlled by energy metering ICs. 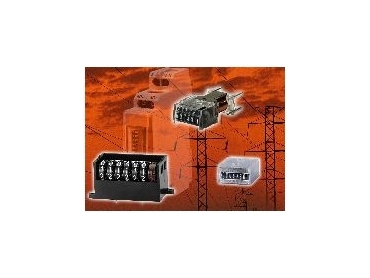 The nominal voltage is 5V dc but other supply voltages are available on request. The modules have a 25mW power consumption. They guarantee absolute data retention even if there is a power failure and are therefore suitable for use in OEM applications.